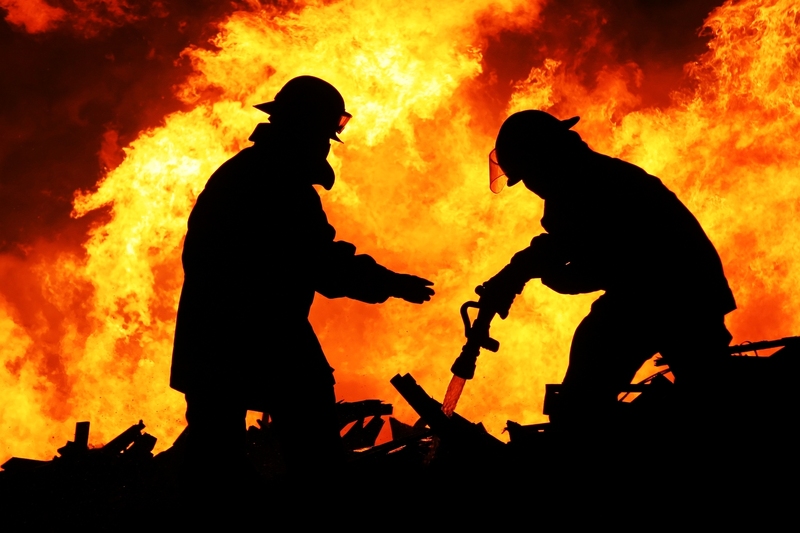 Putting Out Behavioral Fires - I Love ABA! 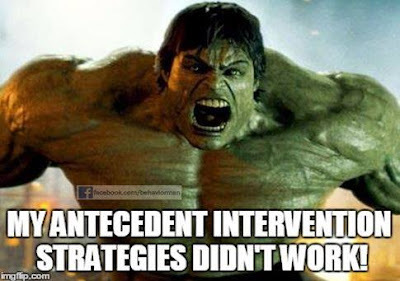 *Antecedent Interventions - Behavior change strategies that seek to modify or change events before problem behavior occurs. *Consequent Interventions - Behavior change strategies that seek to modify or change events after problem behavior occurs. I see many people focus their energy on using the most elaborate and fancy fire extinguisher to put the fire out, and focus no energy on preventing the fire. The problem with consequence focused approaches to problem behavior is it leaves you in the position of always reacting…. the child hits and you react. Or the child spits on a peer and you react. This is a frustrating place to be, one where you can spend your whole day putting out one behavioral fire after another. 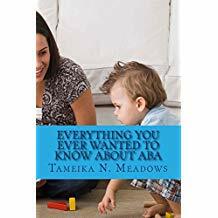 I find that settings without ABA professionals/BCBA's very much have a fire extinguisher approach to problem behavior, and behavior support consists of various punishment techniques. 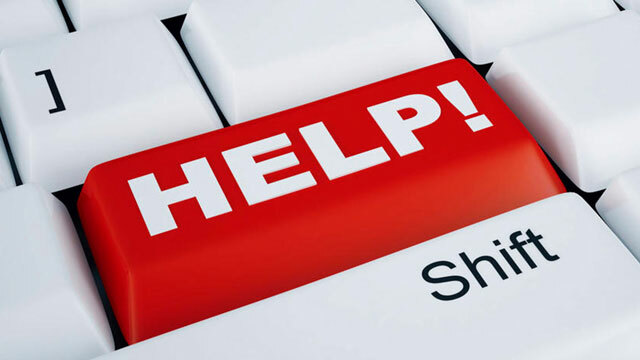 If you are unsure if your workplace is consequence focused, try to answer this question: How are staff trained to prevent problem behavior, and appropriately develop replacement behaviors? So if prevention is the way to go, why are reactionary strategies so widely used or sometimes the only thing being used? Well, the biggest reason I usually see is: Work. 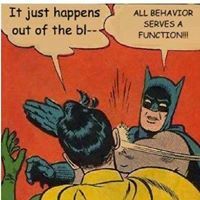 It’s a lot of work to determine the function of a behavior, connect the function to strategies, crank out a behavior plan, modify the environment, and stay alert and ready to quickly implement antecedent strategies. That easy road is not always your friend. What can be quick and painless to do today, could unintentionally shape up a Hulk sized chain of behaviors down the road. Skill Acquisition – This is often completely missed as an important part of behavior reduction. Its so important to distinguish between can’t do and won’t do behaviors. Think of won't do as a motivation issue, while can't do is about skill deficits. Visual Supports – Visual supports is a wide category which could include symbols, images, photographs, contingency maps (If/Then), visual timers, token economy systems, etc. Use visuals as reminders of what behaviors are appropriate, or how reinforcement can be earned. Priming/Social Stories – If it’s always a furious wrestling match to get your 3 year old to leave the park, how about preparing a social story in advance and read it before going to the park? Or give transition warnings as a countdown to leaving (“In 10 minutes we are going home…..In 9 minutes we are going home”, etc.). Choices- I still get amazed sometimes at how quickly a defiant child can transform into a cooperative angel when choices are presented, vs. orders being delivered. Behavioral Momentum - And all the BCBA's just said “I LOVE Behavioral Momentum!”. This is a beloved technique that is so easy, many of us forget to use it.